In far off days, hospitality was everything, especially to travellers, and almost always included food and drink. Our Lord Jesus showed us how to renew ourselves spiritually during just such a meal. He took bread and blessed it and said that should represent His body. He then took wine and blessed it and said that should represent His blood. Now when we consume blessed bread and wine we are consuming His body and blood and so are renewed. WE INVITE ALL WHO LOVE OUR LORD TO JOIN US, every 4th Sunday and other times. 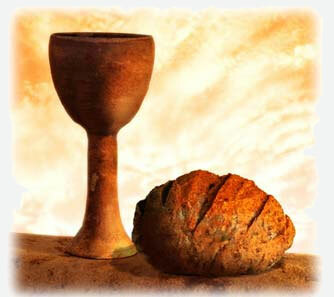 Furthermore, the Reformed tradition is fully inclusive to the extent of inviting all children to share communion – our wine is non-alcoholic (water is also provided), along with gluten free bread. Would Jesus exclude anybody?